Ledge Rock - Legends Landscape Supply Inc. Build a stylish contrast to the vibrant greens and earthy browns found throughout your garden. A growing trend today is the introduction of rock features to the interior of the house. A commonly used stone is ledge rock. We stock a large selection to suit even the most particular design tastes. If you’re building a wall to serve as a focal point in a room, or if you want a natural edge for you garden outside, this is the perfect material. We stock both warm and cool colours with visible veins and weather marks. This natural material fits seamlessly with today’s earthy fireplace designs, stacking easily and looking stunning with wide or tight seams. Ledge rock is a loose term that can be applied to many materials cut in a particular way to promote clean stacking. It is available in slate, limestone, sandstone, granite, marble, and a host of other stone materials. 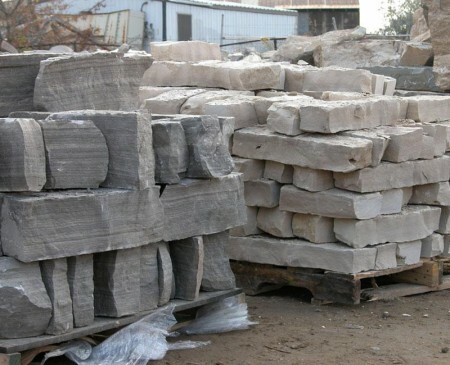 Quarry products contain natural variations and no two are exactly alike. If you don’t like what you see right away, do some digging. A pattern that appeals to you might be hidden within arm’s reach. And like any other stone product, if you plan to use ledge stone outside, be sure to apply sealer after installation to ensure longevity. If you’re ready to take your design dreams and turn them in to design achievements, stop by our showroom and talk to one of our experienced professionals about the best way to get it done.